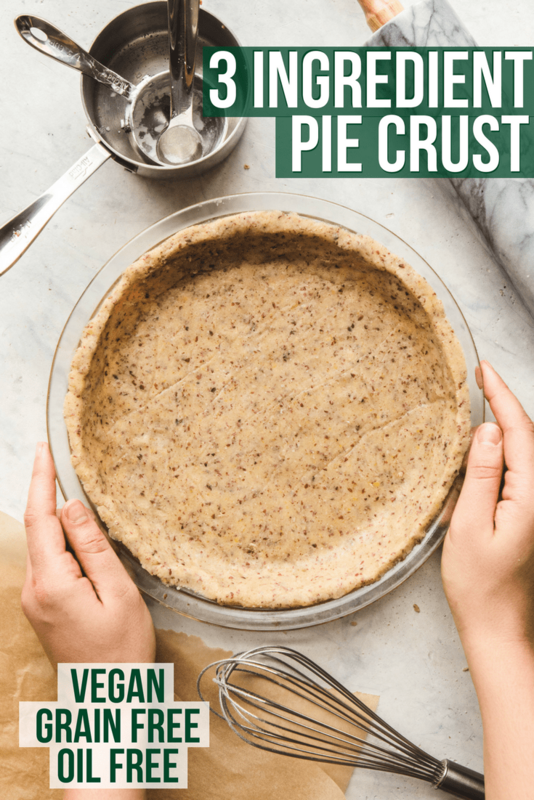 This Easy Pie Crust is Vegan, Gluten Free, Grain Free, Oil Free, and made with only 3 healthy ingredients! 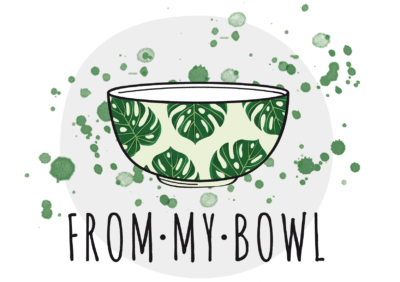 Perfect for Pies, Quiches, and more! 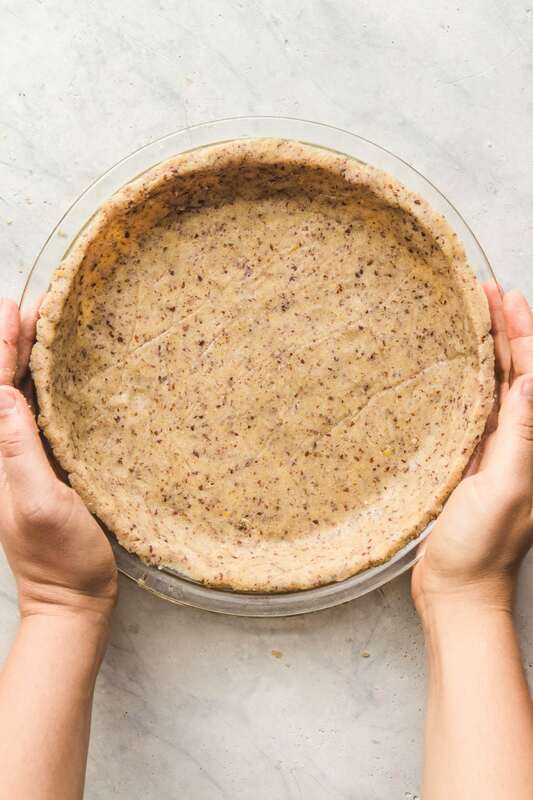 A 3 Ingredient Pie Vegan Pie Crust that’s dense, chewy, and crispy, but actually good for you?! First, add some Almond Flour, Tapioca Starch, Flax Egg, and Salt to a bowl. And then you have your dough! then remove the top layer of parchment paper and flip the dough + tin over. 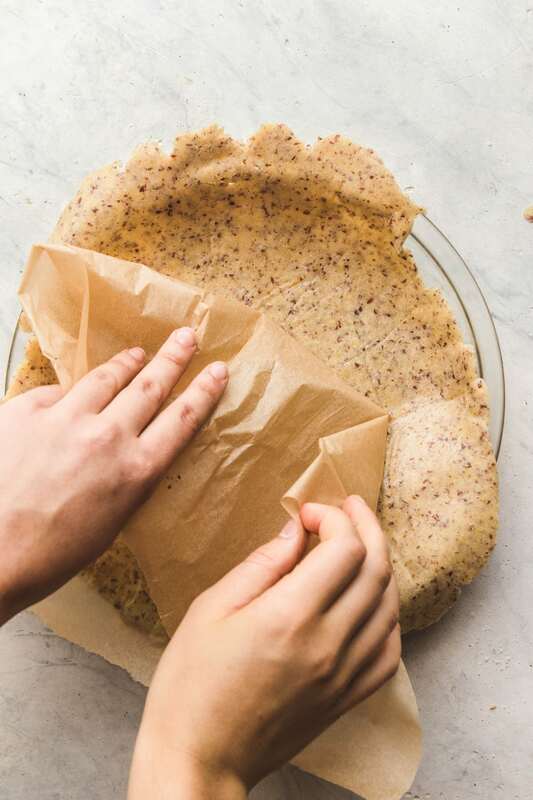 At this point, all you have to do is remove the top layer of parchment paper, mold and shape the pie crust to your liking, and poke some holes into the dough with a fork for ventilation. 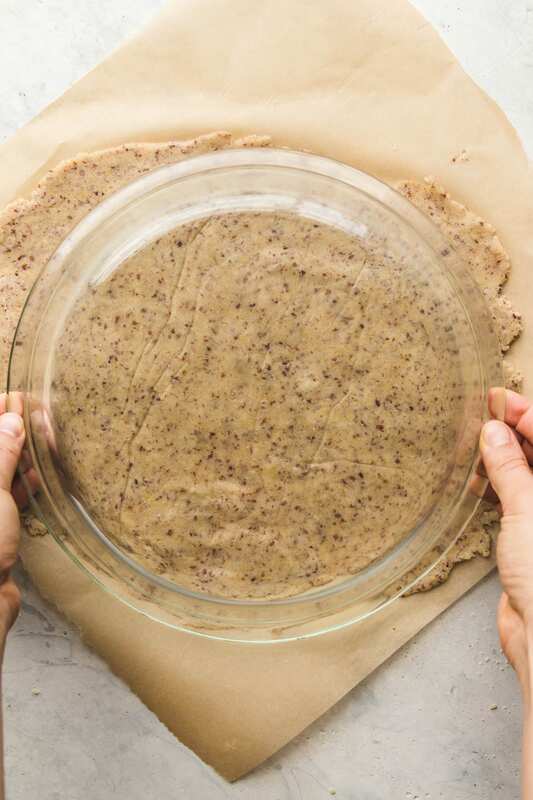 The Almond Flour has enough natural oil in it to prevent the crust from sticking to the tin – so no need for greasing! Combine the Ground Flax with Water in a small bowl, and let sit for 5-10 minutes to thicken. 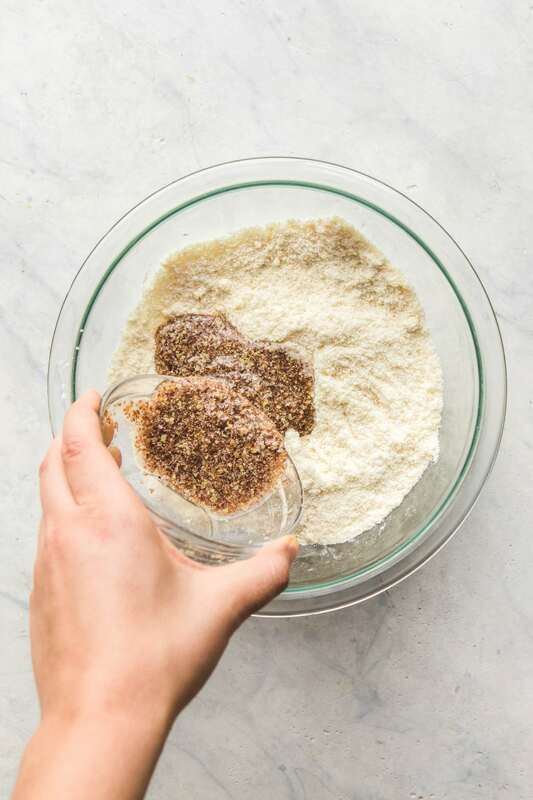 In the meantime, whisk the Almond Flour, Tapioca Flour, and Salt together in a medium to large bowl. Add in the thickened Flax, and mix until a dough forms. 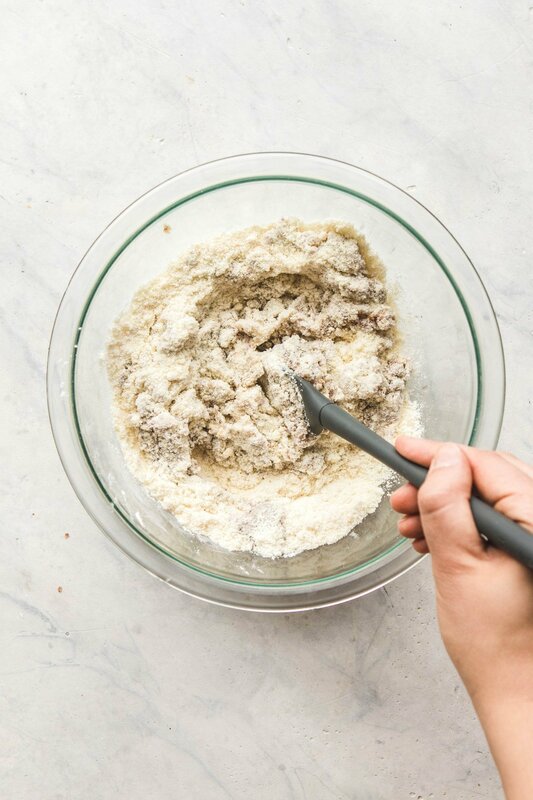 You can start out mixing with either a spatula or fork, but will eventually need to use your hands. 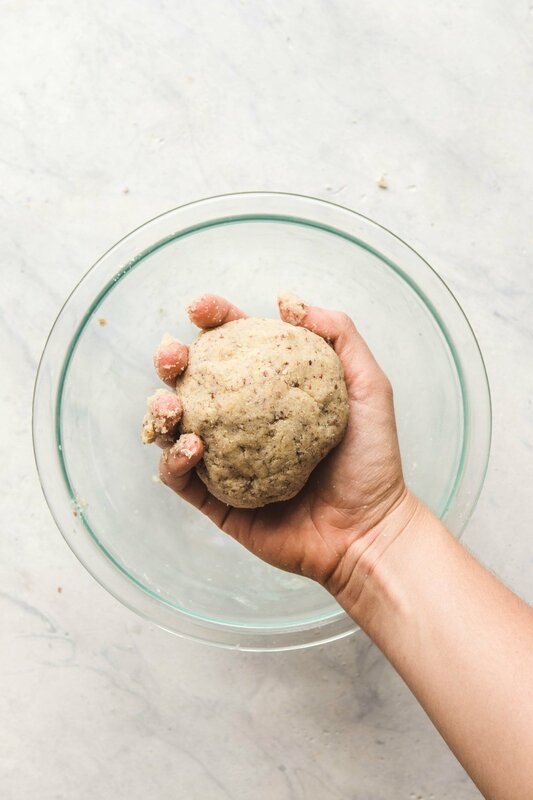 The dough should be damp, but not stick to your fingers (if it is, add in 1 tbsp increments of Almond Flour until the texture is as desired). 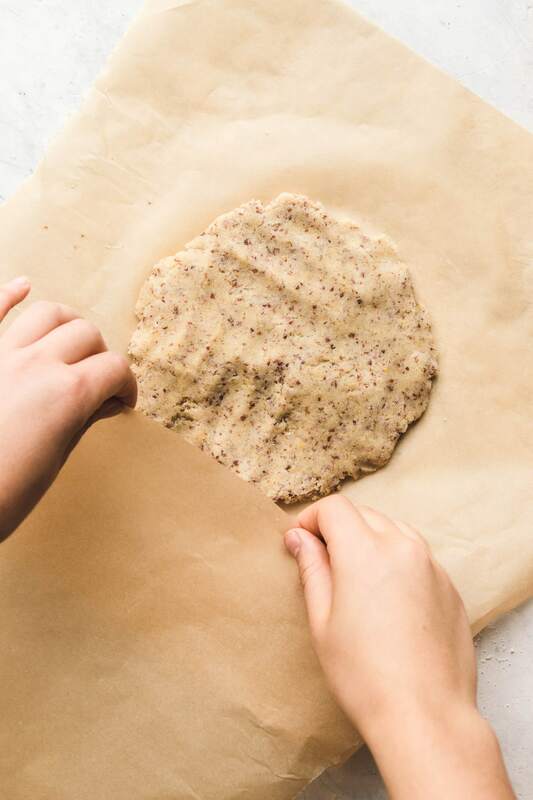 Place the ball of dough between 2 sheets of parchment paper, and roll the dough out until it becomes wide enough to cover the base of your pie tin. Peel off the top layer of parchment paper, and gently place your pie tin on top of the dough. Flip the tin over, and remove the other sheet of parchment paper, which should now be on top. Use your fingers to press the dough evenly into the pie tin (it should be damp, but not sticky). Poke several holes in the dough using a fork. Place the pie tin in the freezer for 20 Minutes; during this time, turn the oven on to 400F. Cover the dough with Foil and pie weights (or dried beans), then bake for 15 minutes. 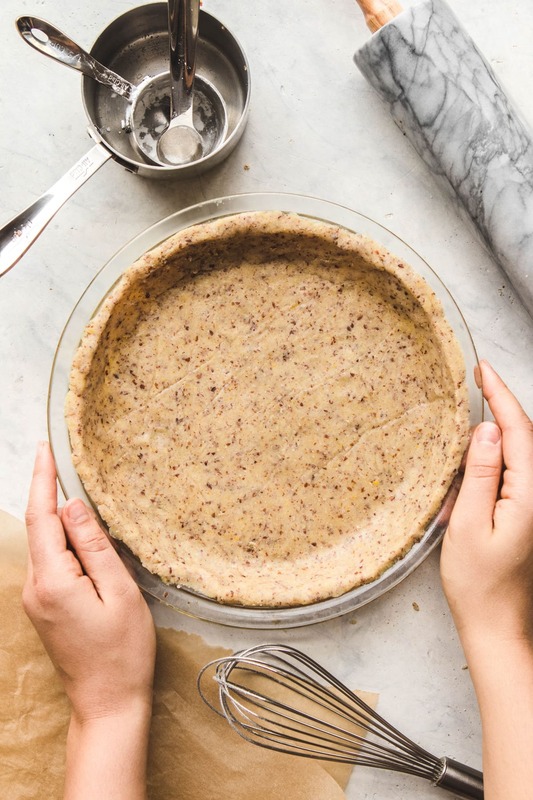 Uncover, then use the pre-baked pie crust in any recipe of your choosing! I have not tested this recipe with any other flours, and thus cannot recommend substitutions. Ground Flax may be substituted with Ground Chia Seeds, but not Whole. This dough can be made ahead of time and stored in the fridge for up to 3 days prior. I would suggest wrapping it tightly in Syran Wrap, so it does not lose any moisture. Is it possible to use cornstarch instead of tapioca starch? I have not tried that, so cannot guarantee that it would work the same way. They do act a little differently! Instead of almond flour, do you think I could use almond pulp leftover from making almond milk??? If I have a 40 min bake time on a pie, should I still blind bake? Thank you!! I would still pre-bake the crust, just cover the edges in foil when you bake the pie! 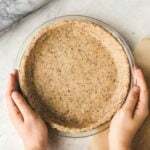 This is the best vegan, GF pie crust recipe I’ve ever tried – love it! I see you use a glass pie pan. If freezing 20 minutes before baking then putting in hot oven, won’t the Pyrex pan crack going from freezer to oven? Can we skip the freezer part? I don’t have a metal pie pan. I used a glass pie tin and it was fine – no cracks! I was wondering if oat flour would be okay in this recipe? I am wondering about pie tin size? How big should the pie tin be? I would recommend using a 9″, but it can be stretched a bit if the tin is larger! I have almond flour but it doesn’t say fine. Can I just puked through my blender to get it fine as needed? Can i use whole flax seed??? No, they need to be ground in order to evenly distribute and help “gel” up the dough. If you have a high-speed blender, you can blend up the whole seeds first and then measure the ground from there! Hi Caitlin, looks great but I can’t have almonds or walnuts, all other nuts are ok. If you have any thoughts for an almond substitute in the nut family, please let me know. Thanks! I believe you can purchase Cashew Flour now, and that should work! Hi Caitlin, is it possible to freeze the dough for up to one week? I’m going to make your delicious looking quiche. Thank you for this beautiful looking recipe!!! 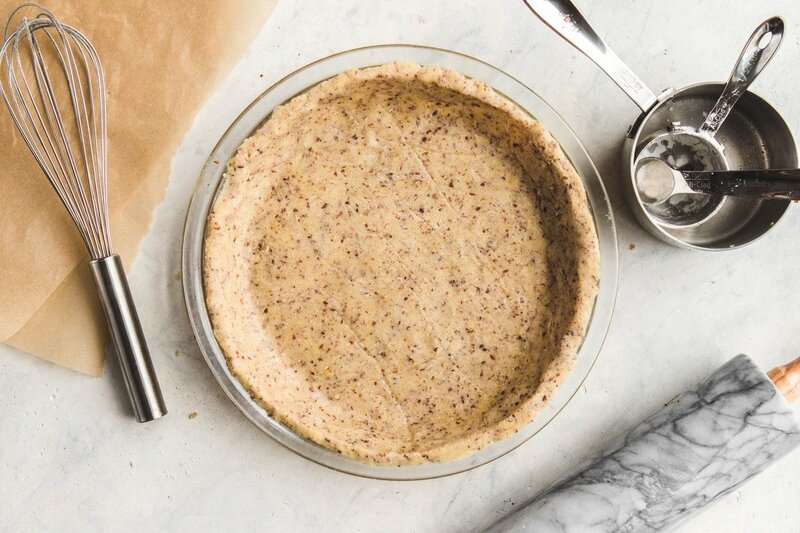 This pie crust is a game changer! It’s the easiest thing in the world to make, and I have made a couple recipes with it so far and it works really well for sweet and savory dishes. 5/5 would recommend. So happy to hear that, Christina! Made this today (with the quiche recipe) and it was delish. I didn’t have almond flour and instead I blended raw almonds (in a high powered blender) until it turned into a powder/flour and before it turned into almond butter! I blended up one cup of almonds and that produced about 1 1/4 cup, as the recipe calls for. The dough turned out sticky for me and instead of using a rolling pin to roll it evenly, I just pressed it into the pan directly. But the end result was really tasty! Thanks Caitlin, you’re a genius! Awesome – good to know that almonds work in a pinch! 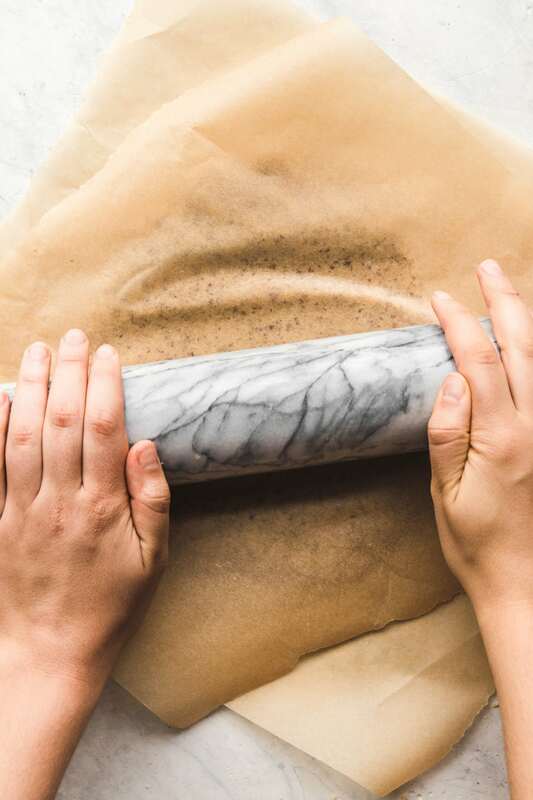 It goes in while baking – this is to prevent the bottom of the crust from bubbling up and keeps it level!